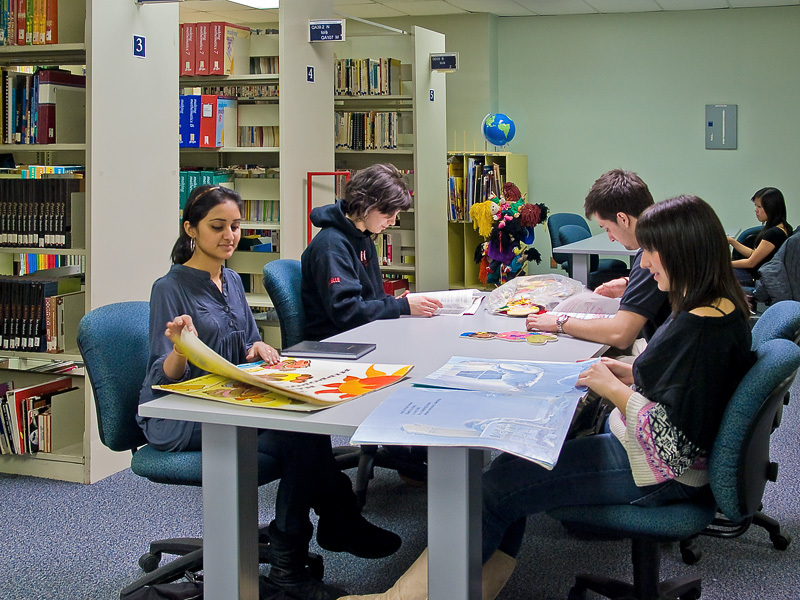 The Faculty of Education will be undertaking major renovation work in the former Education Library space where the Education Curriculum Resources Centre (ECRC) is located. The work is slated to begin Monday, June 18 and will continue throughout Summer and Fall 2018. Unfortunately, the nature of the work makes it impossible for the ECRC to remain open throughout the construction. As a result, the ECRC will be temporarily closed starting Saturday, June 16 until the end of the work. In order to best support Education students, all course reserves have been transferred to the Humanities and Social Sciences Library. Course reserves will return to the ECRC in Winter 2019. As of June 16th, the regular ECRC collection will be available solely on request. Materials will be available for pick-up at any of our other branches or delivered to staff offices as soon as possible. No pick-ups or returns will be processed at the ECRC. At this time, the projected end of the renovation work is scheduled for mid-November 2018. What’s going on in Education Curriculum Resources Centre? The Faculty of Education is undertaking major renovation works in the Education Study Space, where the ECRC us located. The nature of the work makes it impossible for the centre to remain open. As a result, the ECRC will be temporarily closed from June 16th, 2018 until the end of the renovation work (scheduled for mid-November). How will I access course reserves? Course reserves for Summer and Fall 2018 will be transferred to the Humanities and Social Sciences Library (McLennan-Redpath Complex). How will I access the regular collection? The rest of the ECRC collection will be available on request to be picked up at any other library branch. Because the books will be located in a construction zone, however, there may be a slightly longer than normal delay. You can study at any of our other branches. You can return books at any of our other branches.